Sunny wasn't the same after Leona died. He was doing alright, but the last week or so he was really wearing down. 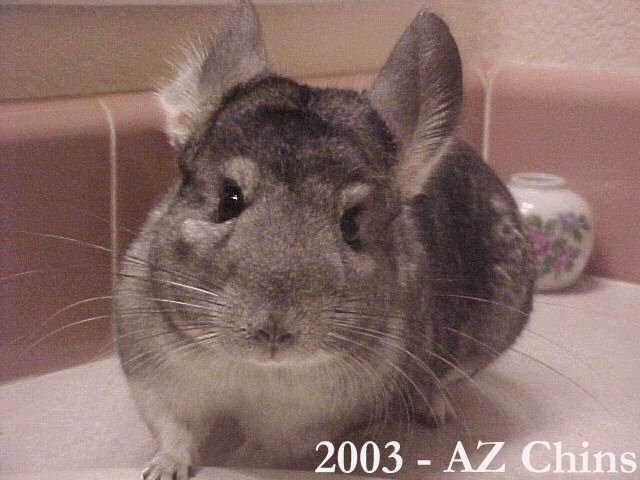 He was pretty old for a chinchilla. I feel so bad that he isn't around anymore. I really miss my Sunny hunny bunny! He was a good boy, but he had a long life. He will be missed and thought of very foundly. He used to dance to his favorite songs and he was just such a good boy. He was a great daddy and a very good mate to his females. Good Bye, Sunny. You were just the best to have here. Thank you for being my chinchilla.